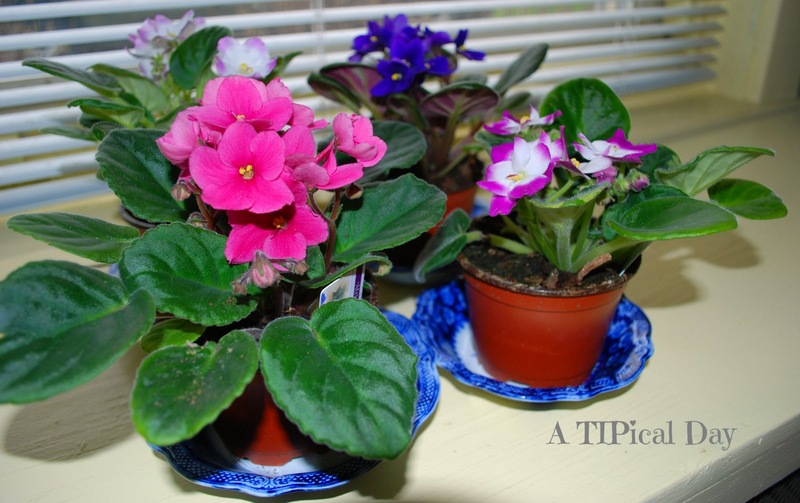 My grandmother loved African Violets. 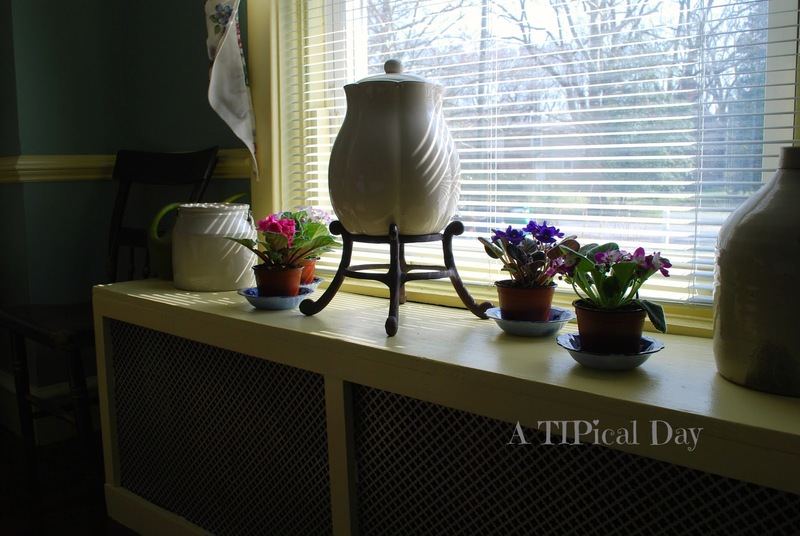 She often kept them in her dining room window (the same one seen below). At her funeral my aunt put them out on all the tables, and then sent them home with everyone. Since I had never really had any before, I thought I had better research how to care for them. Here is a little of what I learned. 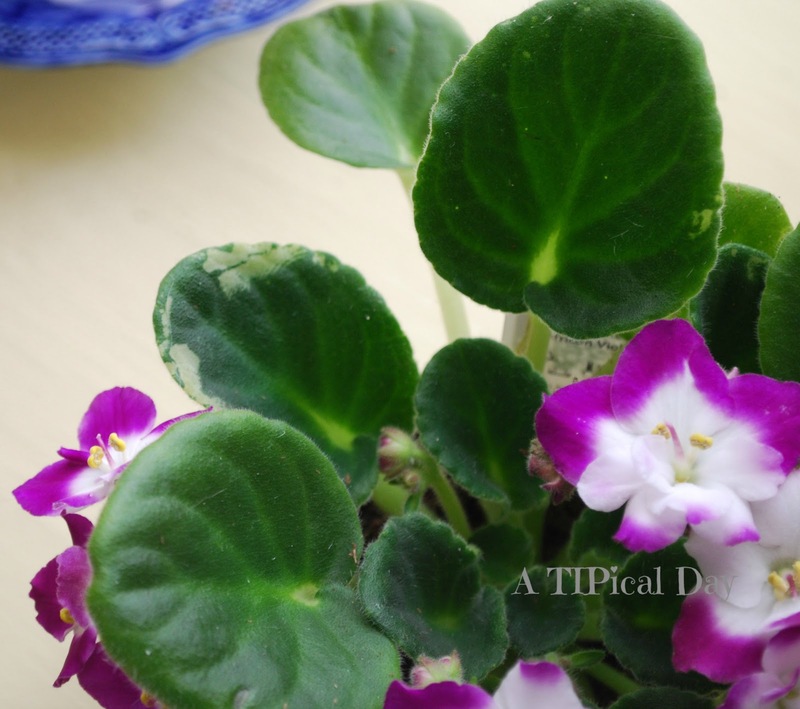 Violets, much like myself, do not like extreme temperatures. They enjoy it in the 70-80's during the day and 60's at night. They also enjoy sun. I have them in a south facing window, however many sites suggest placing them in an eastward facing window so they can get the morning sun. 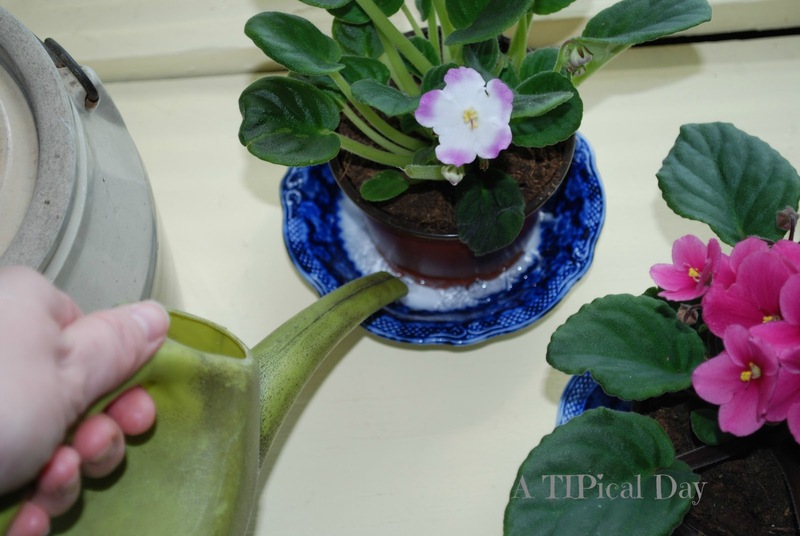 Watering them can also be a little tedious. Pouring water into a dish and allowing them to sit in it for about half an hour works best. (That lovely green watering can is as old as I am.) You do not want to over water. It is better they are too dry than too wet. You can water from the top, but be careful not to get the leaves wet. I also discovered that my cat likes to eat the leaves. Who knew? 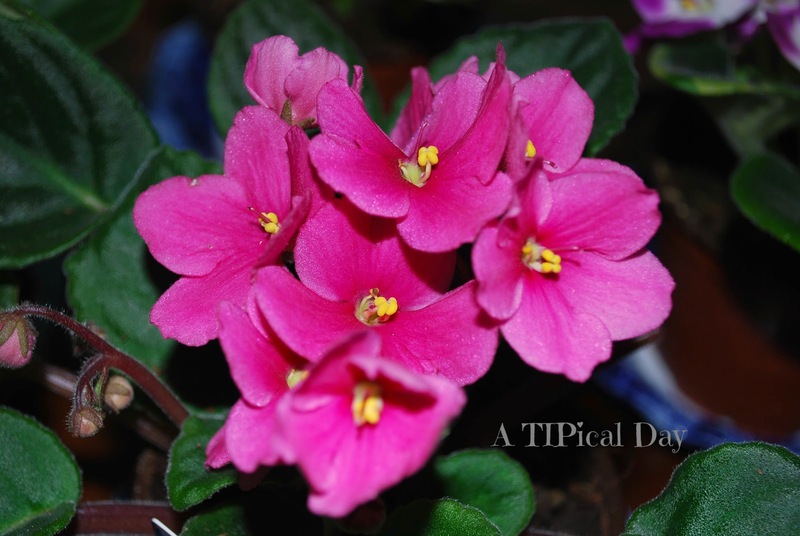 Violets like to have loose soil. You should be able to push your finger all the way down into the soil. 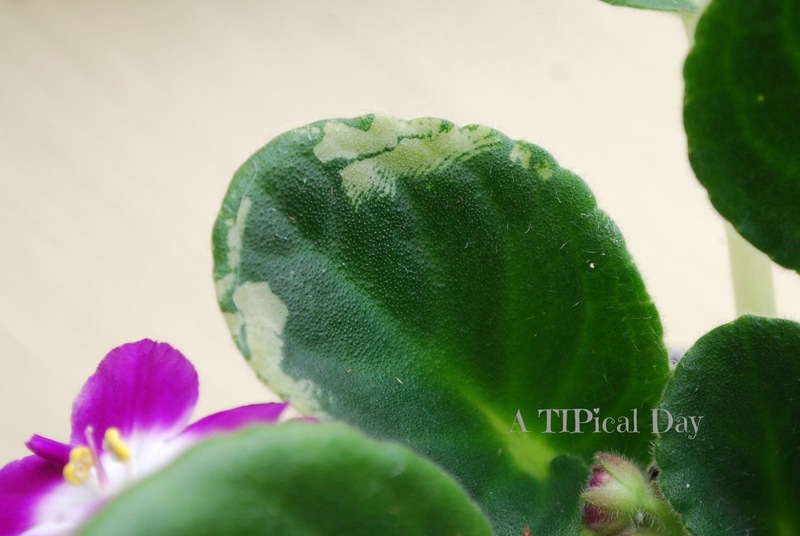 You can dust/clean the leaves with cotton balls, or soft rags. 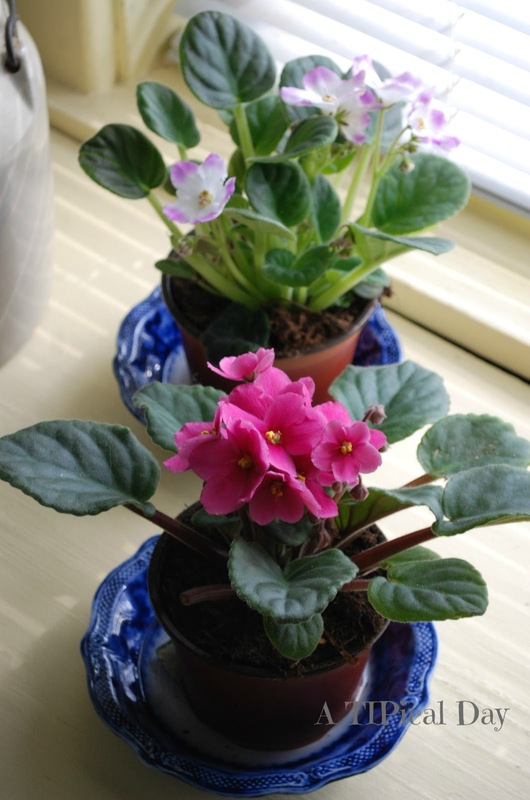 Be sure to trim off dead blooms and leaves for the prettiest plants. 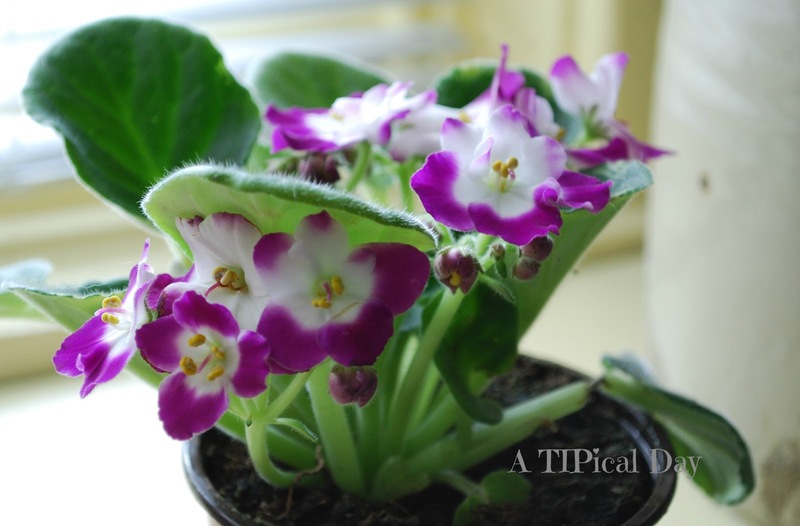 Hello Meredith, African Violets are so very beautiful. After years of trying to grow them (and keep them flowering!) I have finally succeeded. I think what finally did the trick was finding just the perfect spot in my home. Thanks for the care tips! Cheers!